V.com weekend vote: Should symphony orchestra concerts be more formal, or more casual? 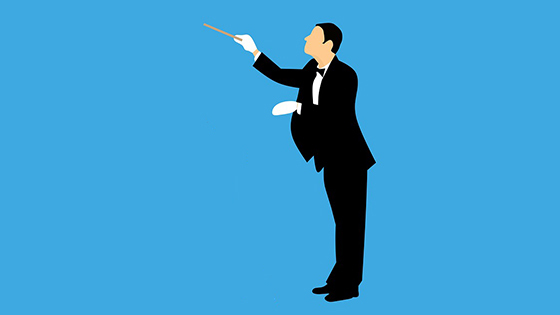 April 12, 2019, 10:55 AM · I've certainly heard the complaint that symphony orchestra concerts can be intimidating to the newcomer, but is the answer to make concerts more casual, or to actually make them more formal? Some symphonies have "casual Friday" concerts or something similar, where both orchestra and audience are invited to wear casual attire, have a drink at a reception beforehand, and enjoy a shorter concert. Don't worry about clapping between movements, we welcome the enthusiasm. This can foster a sense of relaxation and the feeling of having a good time. But I've also had people tell me that part of what they most enjoy about a symphony concert is the sense that it is a special event: you dress up for it; the musicians dress up for it. It takes place in a hall designed for sound, so the audience respects that atmosphere. And with all these live musicians assembled for the purpose, the music is likely to be substantial. What is your own preference? Are you drawn to a more formal, or more casual atmosphere? Please participate in the vote and then share your thoughts. April 12, 2019 at 06:06 PM · I voted "more casual." I mean that for both parties -- audiences and performers. My schedule keeps me away from the symphony now, but if I were attending, I'd opt to skip the jacket and tie. Even more, I feel for players who have to wear these formal outfits. Can't speak for the ladies, of course, but I've heard plenty of the fellows complain about the heavy jackets and ties. I don't know about brass or woodwind players -- I would think they'd find the formal wear less burdensome; but with violin and viola, it can be quite an encumbrance. Getting rid of the jackets and ties would definitely go a long way, in my view, toward dispelling the stuffy snobbery that still hangs around a lot of symphony halls. But an even greater benefit, for players, would be more freedom of movement. I learned this firsthand at 20 y/o, doing a few evenings of small-chamber playing during a Michigan heat wave. No jackets and ties -- a matter of survival in the heat. But what I really liked was the closer contact with the instrument, the unencumbered feeling. Couldn't go back to the old way after that. Now I'm seeing chamber players, and some symphony players, wearing outfits like the ones Josh Bell wears -- no jackets and ties. With any sizeable ensemble, I like having a color scheme -- like all black or all gray. Players can still look nice without getting all gussied up. April 12, 2019 at 06:35 PM · Some of the women in the professional Symphony orchestra in my city look like they are wearing extremely casual clothing despite being a world class orchestra. They have a locker room changing area. It doesn't make a nice impression. The audience has paid for expensive tickets and made the effort to look presentable. The men's ivory or cream or white jackets for Pops are all different colors; many faded from years of dry cleaning. April 12, 2019 at 06:47 PM · I definitely support more comfortable clothes. But there needs to some optical uniformity, in other words if not the traditional outfit somebody would have to design a "uniform" of sorts. My feelings are different about different aspects of "formal". I do have a problem with audience noise regard less of decibels. Someone in the audience in jeans and sweater does not bother me. April 12, 2019 at 07:29 PM · I voted to stay about the same. We’re pretty casual here in western colorado, so when I think of casual wear I think of our outside concerts, tees and jeans. But, most everyone here wears dresses or a nice slack outfit or the men wear sports jackets maybe khakis to our inside symphony and I like that. April 12, 2019 at 07:38 PM · Casual doesn't have to mean not special. Performers should not wear attire that hinders performance (Tuxedos, etc. that are too hot, too restrictive, bow ties that choke one, or dresses that are the same). And we need more audiences not less, especially younger folks.. Formal doesn't get to this problem. Doesn't mean one can't have something a bit special, just doesn't have to be formal. We were always relatively informal in Eugen, OR and in Bend, OR, but could be even more so. Clapping: people should clap when they want to, even perhaps in the middle of a movement if a soloist has done something special, for instance (ala jazz solos). Cell phones--concerts should be proprietary stuff. No unuthorized pictures. No distracting pictures (People going up the aisles to the front to film on their phone 2 minutes of a concert, etc.). No flashes. This to me is not formal or informal, but something else. April 12, 2019 at 08:09 PM · It's important that the audience behavior not interfere with the performance or audience enjoyment, but other than that, the concert goers should feel like they have a dress code. OTOH, I like seeing the performers dressed up. I'd be curious to hear from professonal musical performers--do you enjoy dressing up as long as it doesn't impede your playing? After all, this is your job, and most jobs have some kind of dress code. As for being intimidated: there are plenty of orchestras who feel it is their mission to educate concert goers and present concerts with this goal that are formal. People in the public who feel intimidated can seek these out. I always have in my mind the San Francisco Chamber Orchestra. The performers always dress formally, the director wears a tux, but the director goes out of his way to add informality and elucidation with his comments to the audience. April 12, 2019 at 08:23 PM · Why not both more formal and more casual? I think most concerts should be less formal. We should keep in mind that the formal concert format of overture, concerto, and symphony is less than 150 years old. Much of the audience protocol we think of as traditional arose around the turn of the 20th century. The US is especially stuffy, I think. I've noticed in watching videos of orchestral concerts that American orchestras seem much more formal than European orchestras on average: in the US professional orchestra attire is almost universally either white tie or black tie, while it's quite common for European orchestras to perform in business attire. I do like the trend among American orchestras toward having "Casual Friday" or "Rush Hour" concerts, but I feel the regular weekend concerts are still too formal. But I did say "both" -- I think there is value in an orchestra presenting certain concerts as formal gala concerts. I don't think it should be driven by repertoire, because I don't think any particular piece should be portrayed as especially formal. I'm thinking more along the lines of creating buzz by making the season-opening concert a big event. April 12, 2019 at 09:07 PM · I definitely think more casual for all involved. I think audiences should be able to dress casually and wear whatever they want to concerts. I also much prefer when performers, even conductors, spend a little bit of time talking about the music before they play -- and not in a stuffy pre-concert lecture, but directly engaging the audience. I love going to concerts but I don't love dressing up. I want to wear my comfy shoes and my regular pants! As for performers, the thing both my kids hate most about performing is dressing up. I think that orchestras should offer some concerts completely dressed down (like casual Friday at the orchestra!) and even for performances should switch to all black (or all white) for all members without requiring suit/tux and bowtie/tie. April 12, 2019 at 09:27 PM · Our audience members come dressed in everything from casual to very dressy. We truly don't care. For myself though, if I'm attending something as a member of the audience, I dress more nicely than my daily wear. It's a way to show respect for the occasion. I also think symphony orchestras should remain somewhat formally dressed although I am neutral on whether to retain white tie and tails. If another option could be found that is less restrictive for male string players, that would be fine but I don't think it's a good idea for an orchestra on stage to be dressed like an orchestra in the pit or worse, the orchestra in rehearsal. There is a visual element to performance, and the clothes one wears show respect (or lack of) for the occasion. That's why people dress up for weddings. Our gala concerts, where the women in the orchestra have the option of wearing evening gowns, are a lot of fun and very well received. April 12, 2019 at 10:54 PM · I don't attend them, but I think casual concerts are fine. Here in Seattle, people dress however they want at the symphony, but most people wear at least business attire, and some people--including people in their 20s--really dress up for the occasion. I see nothing wrong with that, and actually I think more people should dress up. What is wrong with a fancy-dress occasion once in a while? I like to feel that some things are special and not just part of everyday life. We need more Events, not fewer. I own a tuxedo, but I usually just wear a black suit when I perform, which is rare these days but still. As Mary Ellen says, it's a performance. If I really wanted to be comfortable, I'd be at home on my couch with a cocktail and Netflix. The only time I've seen a performer show any real problem with audience noise was a decade or so ago. Andras Schiff was performing a recital in the middle of winter and half the audience seemed to have a cold. About a minute into the "Hammerklavier," Schiff stopped playing and turned to the audience: "There's too much coughing. I'm going to give you all a few minutes to cough, and then I'll start over again, okay?" I'm still not sure if he was cranky or amused. April 12, 2019 at 11:59 PM · The times we leave in may be interesting. One tries to make concerts affordable and attract wider audiences. One decides to jump in and enjoy those concerts. Where do those meet and what should they have in common? Casual wear is fine by me. Depending on one's occupation or social life, one may not feel at ease dressing up and unconsciously be compared to the others. I would rather see someone dressed casually but respectful of the orchestra, of the music and of the other attendees than one in a three-piece suit showing ungracious behaviour towards those trying to reach their seat or being noisy without a good reason. Applause is not fine by me. I have always found that a noisy and animalistic way of showing some feeling. Too ape-like for my taste... I consequently tend to cringe when a crowd shares such a disruptive behaviour intended to cover all other sound. On the other hand, I cannot think of another universal way to show appreciation from a distance. Overall I think that formalism is required but should not become elitism. Remove your hat, button up your shirt and keep silent. Do not move until invited to, take a cue from the conductor or the orchestra, do not leave the hall before they leave their seat. A concert does not have to be a village party nor a silent mass. There may come a day when we will see lights indicating when to show appreciation, and it might not be a bad idea. Orchestral music requires a bit of initiation, will it or not. It is about an art codified at a time to which we can hardly relate so yes: there should be a few rules to obey. April 13, 2019 at 12:15 AM · As a child, going to the symphony meant the whole shebang. You got cleaned up, dressed up, learned to sit quietly without fidgeting, knew when to applaud, and assumed there would be a treat after the concert, usually a dessert. This was part of the social acclimation training we received ~ along with sponge cheese hats for sports events, hats with lures for fishing, and sunglasses for the beach. As an adult, I've learned my social graces, adjust well to diverse cultural circumstances, and don't assume the world revolves around me. April 13, 2019 at 03:29 AM · The trend, at least where I live is toward more casual dress at concert events. Personally I don't mind "business attire", but when I see someone in ragged jeans, T-shirt and sandals I draw the line. Perhaps there ought to be dressed up performances (black ties) and casual performances, and the orchestra should also be dressed accordingly. Operas tend to commend more formal attire for instance than the pop series. As for the orchestra, I have mixed feeling about dressing down. I don't generally think that women players should be dressed to a lesser standard than their men counterparts. I also think some standard of dress should be set for the entire orchestra to mitigate varying hues of fabrics, and at least have the same dress for all members of a given gender. What would you think if men players were wearing a mix of tux, sport jackets, ties, bow ties, no ties, shirts or sweaters? April 13, 2019 at 01:44 PM · I don't like the jeans and tee-shirts, or the eating, climbing and talking, not to forget the cell phones whilst the symphony is playing Beethoven, bach etc. They look like they are at a baseball game. Talking is very rude. Our symphony is world class, playing across Europe even. There are no reasons why the people in the audience should be allowed to disrespect those who came to hear the greatest music of all time and those who paid and those who take years and years and years to perfect their craft as the great musicians of the world, honored to play the greatest music on earth. I went to see Joshua Bell conduct and perform Beethoven, and it was outstanding. Mr. Bell is far above amazing and talented. But... it was a horrible time in the audience because people were going in and out, climbing over me and others. They bought food, talked and left their waste everywhere. Take this to the movies slobs. This behavior should be stopped...sheesh! I was too upset along with too many nicely dressed attendees who were very angry. World class music and great musicians and music should not be so badly insulted. There is greatness in classical music that is timeless, and no reason to debase it. April 13, 2019 at 03:10 PM · I voted for "more formality", but I don't mean rigidity. Lots of orchestras manage to be formal, in the sense of a uniform dress code for players without being stuffy. All white shirts and black pants is fine with me, or pops orchestras with spiffy white jackets, etc. Certain choices I don't like, but the musicians ought to have a say. Use technology to make it easy on players: They should not feel that the dress code inhibits the musical performance. Also, I think a dress code is NOT for an audience. We should be grateful when ANYONE comes to hear live music, and they can come in work clothes or dressed up; but they should try to learn the musical conventions that respect the music: quiet, no flash bulbs or talking, cell phones ringing, etc. It should be a "special" occasion for all concerned. April 13, 2019 at 06:55 PM · I voted more formal for one reason - I don't care how people dress (audience or performers) but last night I was at a recital at Royce Hall that was put on by an outside group, and despite the announcement that cell phones were to be turned off and no recording was allowed, at one point, I could count 13 cell phone screens lit up down on the main floor from where I was sitting in the balcony. This is in addition to the fact that they were seating latecomers (to a concert that was to start at 8:30 and did not actually begin until 8:50) all the way through the 40 minute first half. It was utterly distracting and rude of the audience, and inexcusable on the part of the staff who did nothing about any of this. April 15, 2019 at 11:39 AM · Yes, slippery tuxedo collars and buttoned shirt collars with ties are a pain for violinists & violist. But one should look dressed for the occasion. And look like a team. various bright colours for the modern secnod half. April 15, 2019 at 08:58 PM · In the end, the customer decides. While we are only matinee attendees, I find that the audience dress is no longer dictated by the fashion of the orchestra and I see the orchestra slipping away from traditional formal attire. Yet, the music soars, stirs the soul, and touches the heart of all. Anything that makes a potential customer feel uncomfortable, like she doesn't belong, hurts the long term integrity of the art. April 16, 2019 at 08:43 PM · The correct answer is the one that brings in the crowd. So hears an observation....At Symphony center in Chicago (home of chicago symphony), the audience is VERY grey, and the only hair color that may show up has been washed in. However, there is at least one program in the city where people offer their homes for chamber music performances by generally non-CSO musicians. I went to one a couple months ago. The program was very classical/baroque, and NOT the 4 seasons or eine kleine Nachtmusik. You pay what you feel like, and BYOB is encouraged. The hair color? no grey as far as the eye can see, and it looked natural. So what's the differences? Its cheaper than symphony center, but I think going to see the CSO may be less than a movie(counting the cost of popcorn and soft drink), and a whole lot less than broadway shows (my wallet it still recovering from Hamilton). It is obviously very casual in terms of dress, but also its more personal. Actually I'm still a bit perplexed. April 16, 2019 at 10:24 PM · Several years ago one of the London Big Five was considerably delayed on its way to a concert at Bristol's Colston Hall by an accident on the M4 motorway from London to Bristol, and didn't arrive until what would have been at least halfway through the programme. The musicians went into the greenroom, took their instruments out of their cases, went on stage in their everyday travelling clothes, tuned up and plunged straight into the piano concerto. And what happened while the audience was waiting? The pianist John Lill, who had arrived much earlier, entertained them for an hour with impromptu anecdotes and a few short piano pieces. They certainly got their money's worth!